Have your roots grown out? Are your highlights washed out? 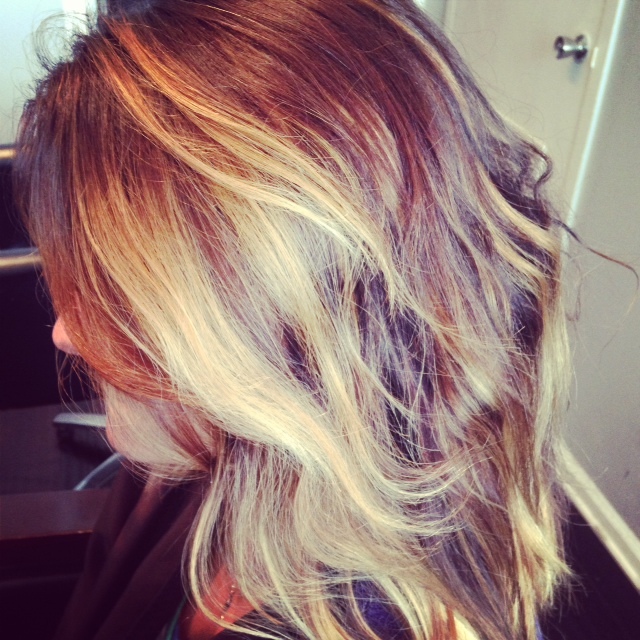 Fall is upon us and it’s time for a refresh. It’s the perfect time of year for rich, dimensional color. My client was very light and wanted a change. 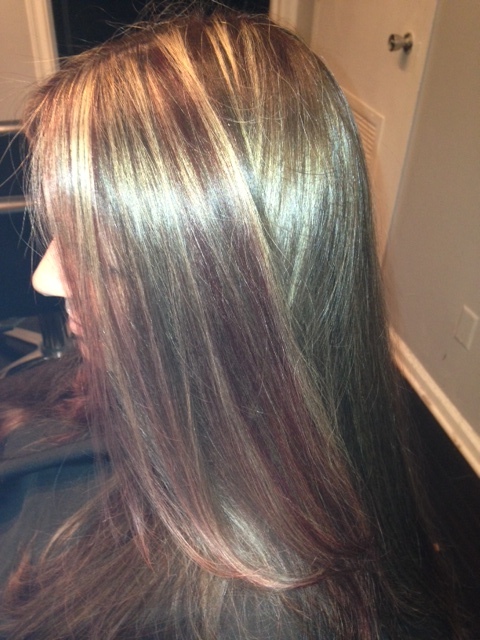 We started with a rich brown base and added dimension with highlights and lowlights that had brown and violet hues. ‘Tis the time of year for parties, parties, parties! Whether it’s a charity event, holiday party, or special occasion — I’ve got you covered. 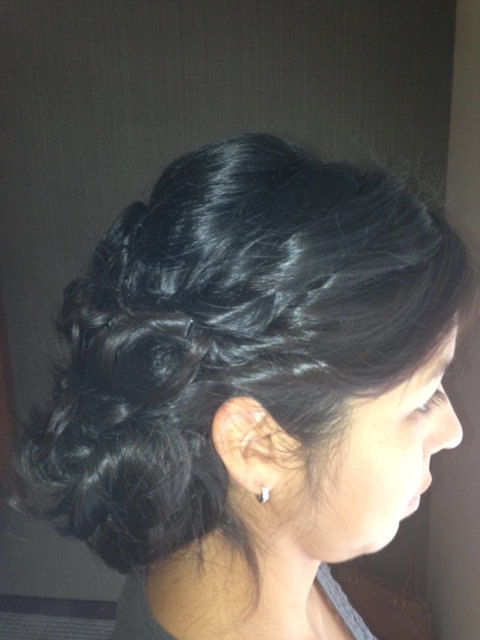 I can create the perfect look for you with a formal updo and professionally applied makeup. Bring in a picture of your desired look and we’ll re-create it to work with your hair texture and complexion. 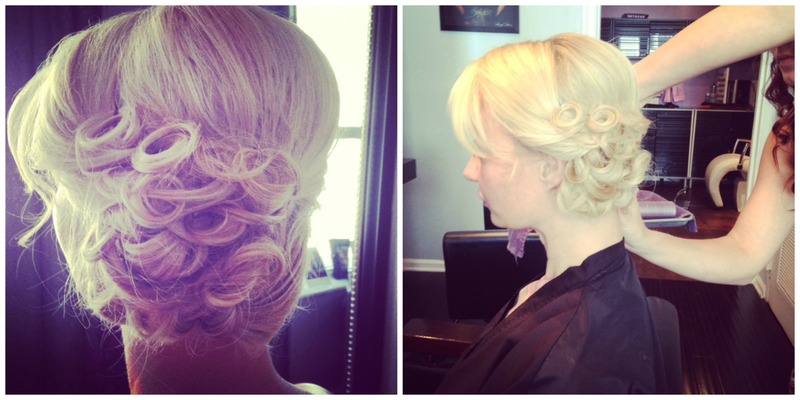 Check out this vintage inspired updo I recently did! So classy and perfect for any occasion. Call me to book your appointment today: 561 727 7127 or email me at hairbyzaklinaz@gmail.com! Meet Amy! She’s a brunette that’s been using over the counter products. 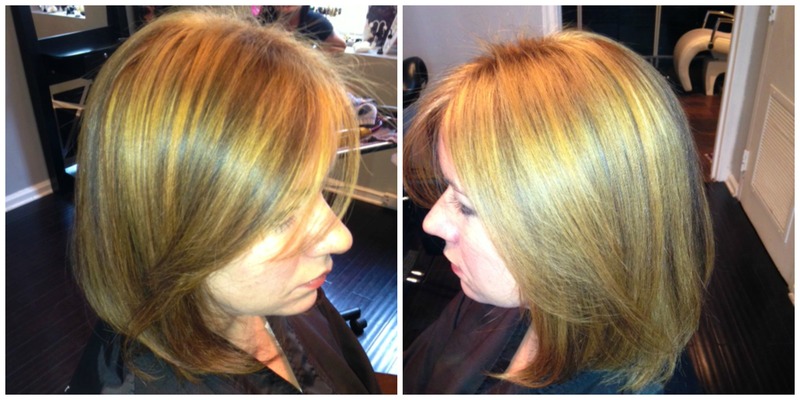 She really wanted a change and to go lighter, so we did a full highlight. Love the end result! I can’t tell you enough about why I love Hotheads Hair Extensions! They’re seamless tape hair extensions that give you natural volume and length. They look amazing and can last you for several weeks if applied and maintained right. And best of all — they look amazing and completely natural! Meet Heather! 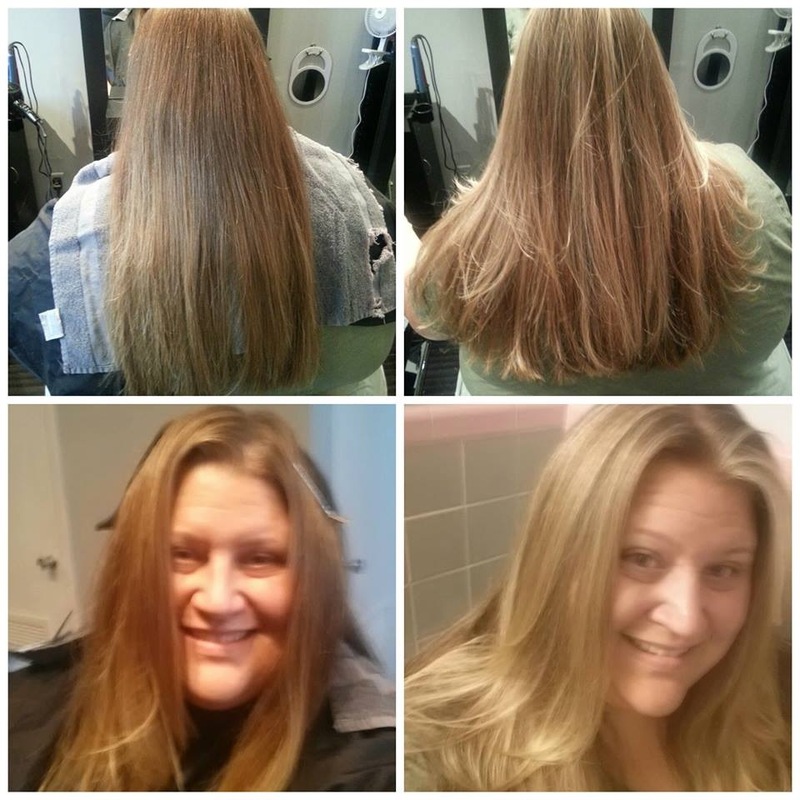 She has natural blonde hair, but wanted to lighten it up a bit with highlights while still keeping her natural look. 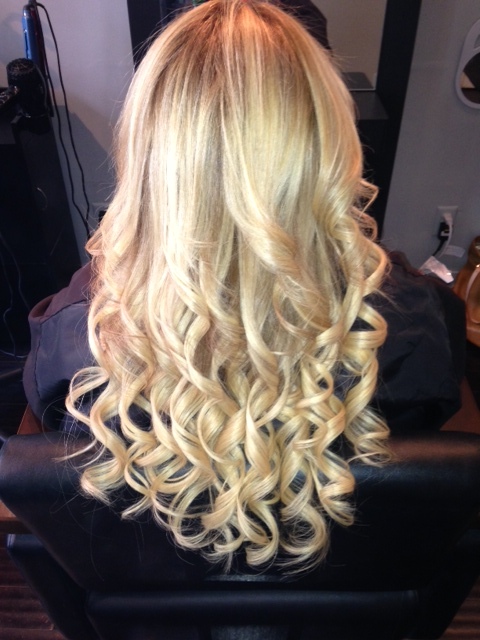 I love working with natural, virgin hair – really gives precise color. Do you have virgin hair? Are you afraid of damaging it with hair color? FEAR NOT! I use only the finest products and your hair will be healthier when you leave. 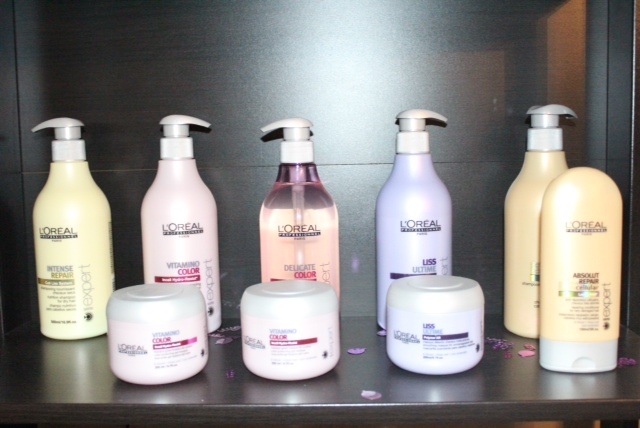 Great Products = Great Hair! The title says it all! If you want great hair, you need to use great products. That’s especially true if your hair is often in the sun, a chlorinated pool, or just plain color treated. Using professional products make such a big difference in how long your color lasts and how lustrous it stays, as well as how smooth is feels. The products I carry in my salon are healthy for your hair and specially formulated to hydrate and condition the right way. Come in and receive 10% off any shampoo & conditioner your buy! I recently started using a popular French coloring technique called Balayage. It’s a free hand technique where color is painted on vs. applied with foils and helps to create a natural, sun-kissed effect that’s HOT. It looks great on all hair lengths (even pixies!) although it looks best with hair right around the shoulders — like my client! Fall is here and the cooler weather brings TONS of weddings. I’m so excited to announce that Blushing Brides has 20 weddings booked so far!! We’re also offering a 10% discount for bridal parties of 6 or more. This is a fabulous deal to get fabulous hair and makeup on the big day. Your wedding is a once-in-a-lifetime experience and it’s important to look your absolute best! 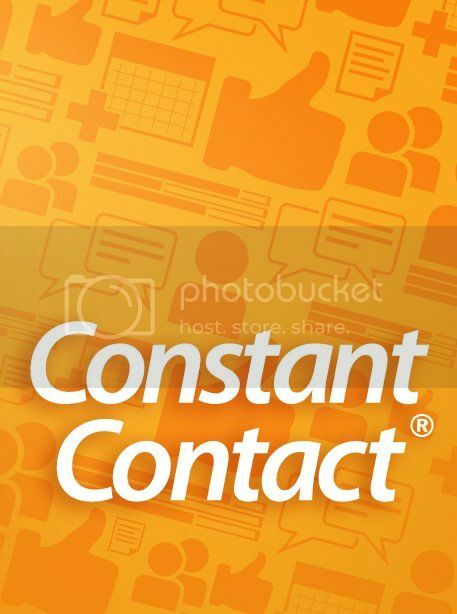 Call me to book your day before it’s too late! 561 727 7127 or email me at hairbyzaklinaz@gmail.com! 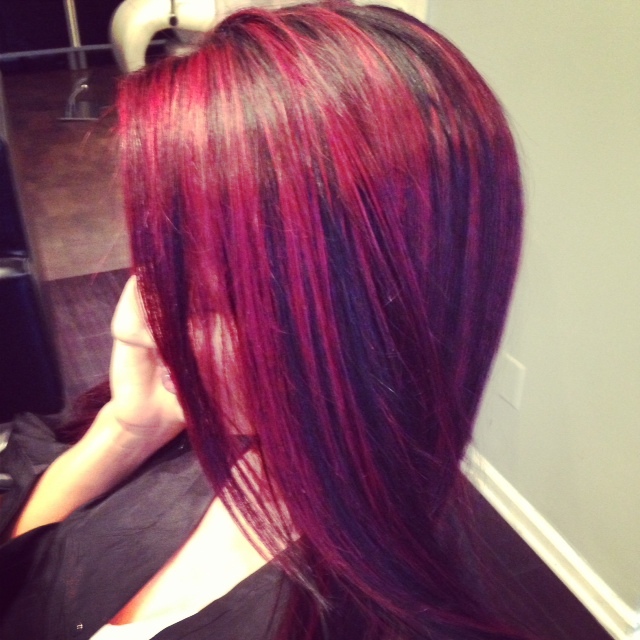 Is your hair dark (even black) but you’re dreaming of going red? It won’t happen with your regular old box color as you need to lift your hair which can be damaging (and not accurate) without the right process. As a color specialist I’m able to use the right technique to get your desired color without damaging your hair! I absolutely LOVE using my expertise to get your color on point. The cooler weather in Fall brings lots of weddings, and it’s so important to have a professional to help you look and feel amazing on your special day. Professional bridal makeup artists & hairstylists are trained to use the right makeup and hairstyles to fit your specific face shape and skin tone, as well as match your personality and desired look.